WeWork's parent The We Company has announced Mexican architect Michel Rojkind of Rojkind Arquitectos as its new senior vice president of architecture. 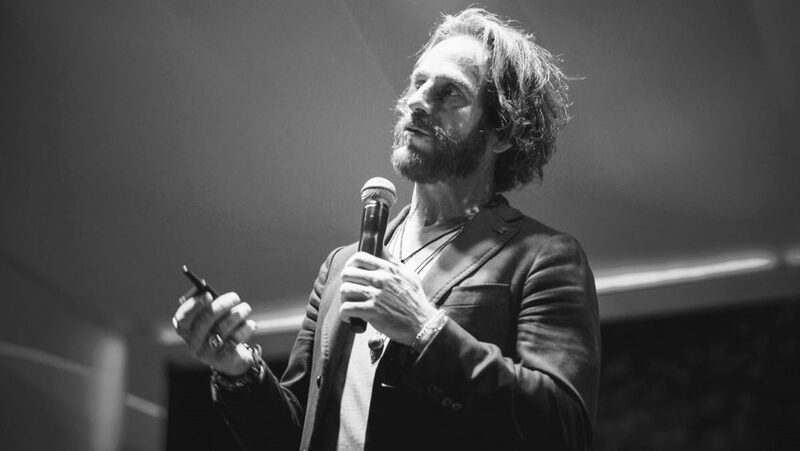 The We Company, which is a larger extension of WeWork, released news today that Michel Rojkind will head up the company's architecture initiatives. Rojkind will join Danish architect and BIG founder Bjarke Ingels, who was hired as WeWork's chief architect in May 2018. The Mexican architect will work closely on joint projects with Ingels as The We Company continues to grow. He will also oversee all ground-up projects by the company, with his first project a 200,000-square-foot (18,581-square-metre) building in Bentonville, Arkansas. News was also unveiled today about plans for this massive development, which will include retail and community spaces and a WeWork. "This space will offer new ways of working for organizations large and small, and will be a place for the entire community [of Bentonville] to connect," said Miguel McKelvey, WeWork co-founder and chief culture officer. The building is The We Company's first new build and will also be WeWork's first location in Arkansas. Groundbreaking is scheduled for early 2020. "The We Company will provide to the project its fully integrated platform including core and shell design, construction, and management expertise to service small and medium-sized businesses as well as to tap the area's large enterprise community," said a statement from The We Company. Rojkind, 49, founded his Mexico City firm Rojkind Arquitectos in 2002. The firm has completed a range of projects, including concert hall Fora Boca on the Gulf of Mexico and Mexico's National Film Archive and Film Institute. Rojkind Arquitectos has also designed Nestlé Chocolate Museum in Mexico City, as well as a food lab for the candy company. In 2018, Rojkind served on Dezeen Awards master jury and chose the final award winners. WeWork unveiled news of its rebranding under parent organisation The We Company in January 2019. The company has scaled rapidly since it was first founded as a co-working company in New York in 2010 by Adam Nuemann and Miguel McKelve. The company now operates shared workspaces and office buildings in 21 countries, and a number of initiatives such as housing development WeLive and education platform WeGrow. It opened its first school, which was designed by BIG, in New York's Chelsea area. "When we started WeWork eight years ago, we knew the world didn't need another office building, it needed spaces where people could collaborate on projects, connect and create together, and potentially change the world," Neumann said in a 2018 blogpost. Other developments by The We Company include a public space called Made By We in New York's Flatiron neighbourhood, complete with a Bluestone Lane cafe, and a health and wellness centre RisebyWe. Portrait of Michel Rojkind is by Cesar Durione, courtesy of The We Company.